At a time when there is so much geopolitical and economic uncertainty- the threat of an attack on USA by North Korea, Europe’s political turmoil and unprecedented global debt, it seems ironic that the measure of market expectations, the VIX Index, remains stable and calm. It appears investors are clearly relaxed about the immediate future. The CBOE Volatility index, or VIX, measures the turbulence of a wide range of S&P500 index options and is supposed to reflect the market’s expectation of a 30-day period. It’s commonly referred to as the ‘fear index’ and at the time of writing, it’s trading unusually low at around 10 (against historical average of 20), which is somewhat puzzling given the broader global uncertainty and economic issues. In fact, the VIX Index hasn’t traded up to its long-term average of 19.4 once this year, and that has some analysts wondering if it is still a reliable gauge of market volatility. You would be forgiven for assuming we are either missing something and the bull run continues, or painted into the fearmongering corner for even considering a potential downturn. 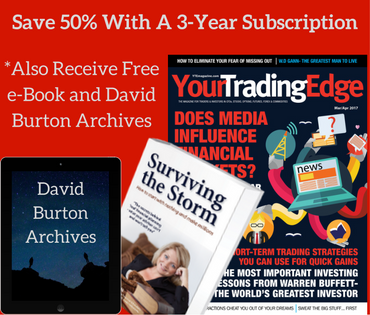 Receive Jodie Nolan’s eBook Surviving The Storm for free with our 1, 2 or 3 year subscription. The signature feature of the VIX Index is indicating the level of market volatility, and by remaining low it reflects low volatility, which is normally a good thing. But could low volatility be the pivotal point of contention that triggers the next correction? When there is low volatility, investors are often lulled into a false sense of security potentially taking on more leverage. This increased risk position might not appear too bad in stable, steady markets. However, with pressing macro issues like unprecedented global debt, unwinding quantitative easing and geopolitical factors relating to North Korea, China and Italy, it could be a cause for concern. There are a lot of reasons why financial markets shouldn’t be so complacent or optimistic and yet they remain temperate and almost sanguine. Perhaps low volatility is the new norm? Many financial analysts have outlined numerous reasons why the VIX Index remains relatively calm to explain the abnormality of why it is at historic lows, and about half its long-term average. Firstly, there is a rise in the popularity of new products, which bet against volatility (short volatility strategies and products like iPath @&P 500 VIX Short-Term Futures exchange-traded note or VXX). These new investment products are said to distort the VIX to some degree, therefore rending it less accurate as a volatility barometer. Investors use these instruments to hedge their bets for portfolio protection, particularly if they are overweight in stocks and worry about a market downturn. With price swings at record lows, traders have pushed short bets on the VIX Index to new highs. Hedge Fund managers keep piling money into short-VIX bets with Societe Generale’s head of global asset allocation, Alain Bokobza comparing the continued VIX shorting to ‘dancing on the rim of a volcano’. He warned that a sudden eruption of volatility could leave traders badly burned. The most critical of these hedging strategies is Marko Kolanovic. As global head of quantitative and derivatives strategy at JP Morgan, Kolanovic said in July that strategies suppressing price swings reminded him of the conditions leading up to the 1987 stock market crash. Whilst traders are hedging bets using VIX, another factor that may be influencing the VIX index to remain steady is high-frequency trading (HFT). 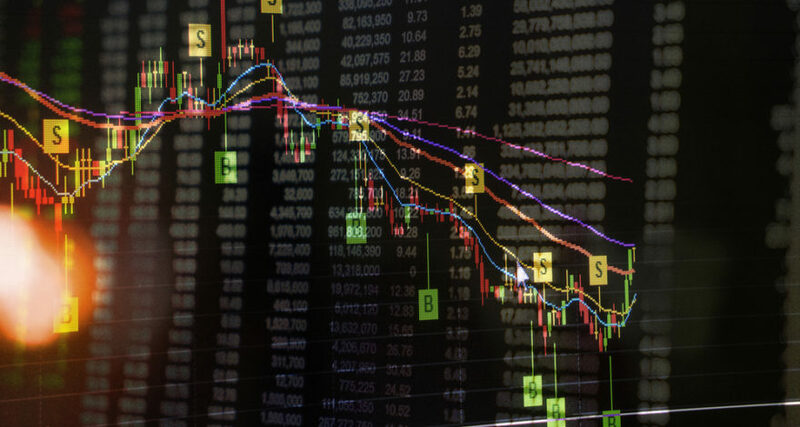 Computer algorithms and technical tools assist to reduce the time traders can buy on dips and sell on highs so there is less scope for asset movement. Having said that, the HFT space is changing in response to low volatility as market forces, thinner profit margins and technology catches up. In the past, HFT made billions via super-fast executions but now the playing field has levelled off. 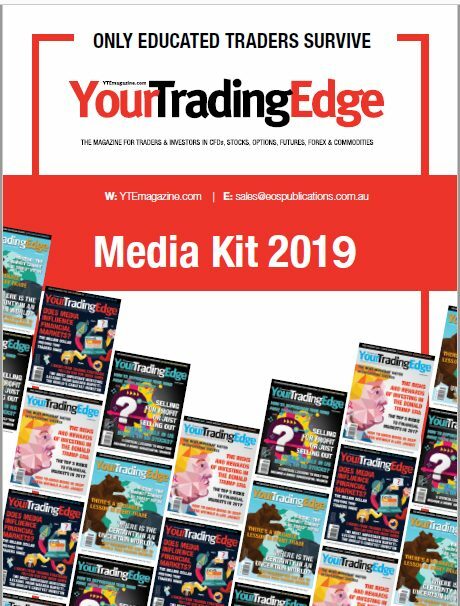 According to Tabb Group, and industry consultant, the total revenue brought in from HFT equity trading has dropped over 85% from $7.2b in 2009 to only $1.1b in 2016. That’s a significant drop! Richard H. Repetto, Principal at Sandler O’Neill + Partners, L.P explains- “we’ve known for a while that high-frequency trading results were exponentially tied to volatility. With the extreme low implied and actual volatility, this has presented significant headwinds to HFT and their profitability/spreads”. Does the combination of the USA bull run and the ‘fear’ index appearing complacent mean a potential tumble might be around the next corner? 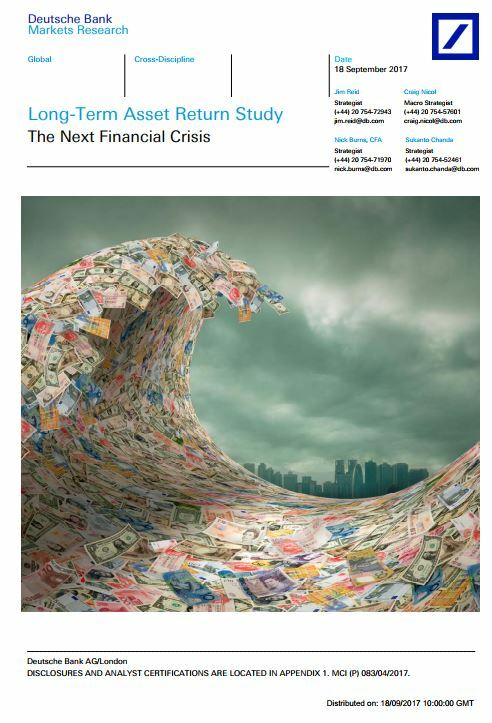 Deutsche Bank commissioned a report interestingly entitled ‘The Next Financial Crisis’ looking for the potential source of the next financial shock. The report warned that there are a “number of areas of the global financial system that look at extreme levels”. They went on to outline the concerns over valuations in many asset classes, unique size of central bank balance sheets, debt levels, low interest rates and game changing populist support as some of the issues. Specifically, the report said if there would be a crisis relatively soon (next 2-3 years), it would be hard to look at these variables and say that there was no way of spotting them. Some analysts believe that the lack of sufficient ‘fear’ in the market is leading to complacency and the market is set for an imminent correction. Others feel the depressed VIX is reflecting stability in underlying solid economic fundamentals. Dennis Davitt, portfolio manager and partner at Harvest Volatility Management said in mid-October, “right now, everyone is focusing on Korea and other macro risk that may be in the marketplace, but nobody is focusing on what’s going right. I think people need to step back and look at what’s going right in the marketplace”. In the US, the GDP forecasts remain firm with growth at 2.2% for 2017. China and Europe are growing modestly and the International Monetary Fund and World Bank have revised global GDP forecasts upwards. HSBC global multi-asset strategy team believes that growth is not only beating market expectations, but is also becoming more predictable. HSBC goes on to explain “taken together, this should mean reduced uncertainty about global growth, which in turn should help to suppress market volatility”, effectively believing that steady growth, low inflation and stable yields lead to less uncertainty and ultimately less volatility. Investors appreciate that there will always be market highs and lows, it’s a matter of profiting from them regardless of market conditions. In equity markets, strategies like dollar cost averaging give some insulation against big swings, and the adage ‘time in the market, not timing the market’ ring true. Economic outlooks can be skewed to interpret different agendas, but most investors appreciate that nothing lasts forever, and weak periods will happen at various points with interruptions to profit and growth. Individually we have no control over global markets and their foreseeable future. It’s important to keep in mind that volatility creates opportunity, and in many instances, it is a matter of examining all the factors, managing or mitigating risk and moving forward, regardless of market conditions. This article contains general information only and should not be construed or relied upon as legal, financial or professional advice. Accordingly, the recipient should note a) that the information has been prepared without taking into account the recipients objectives, financial situation or need; and b) because of that, the recipient should, before acting on the information, consider the appropriateness of the information, having regard to the recipients objectives, financial situation and needs, and obtain individual professional advice on this matter.